Serial entrepreneur, Laura Spoelstra, has been a client of Juicy Marketing for more than 15 years and we are privileged to be her creative team. 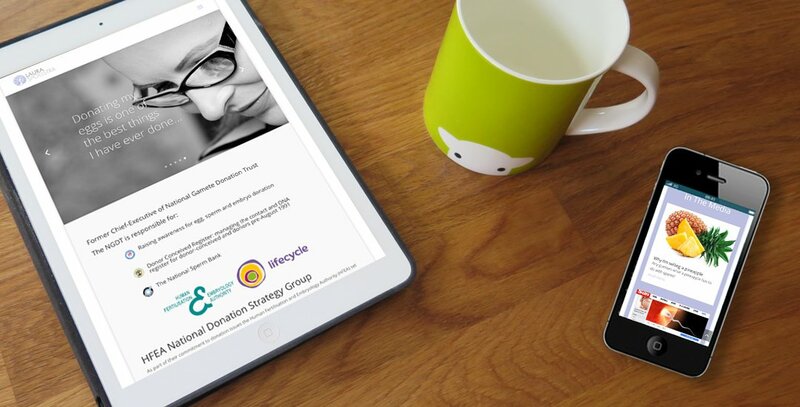 Previously heading up the NGDT (National Gamete Donation Trust,) The UK National Sperm Bank and the Donor Conceived Register too, Laura has often been called upon for her views and comments in the media. This, however, comes with many pitfalls; not least of which is relying on the newspapers to print the real story and radio/ TV to broadcast her honest views rather than a distorted or out of context ‘edit’. 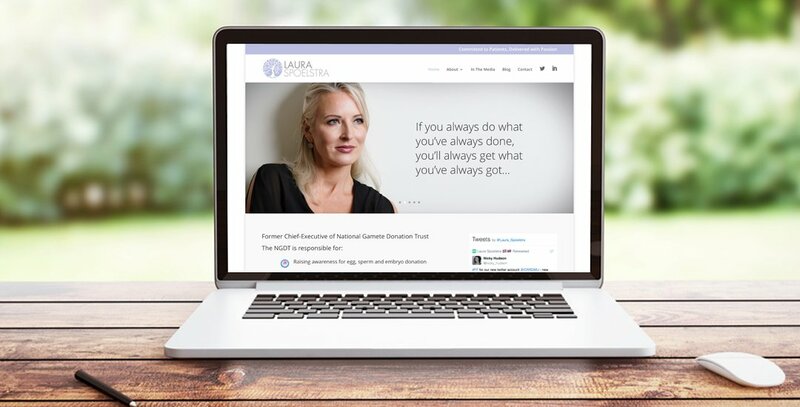 We felt Laura needed to take charge of her personal brand… and she agreed! It gives her an outlet/platform to share her true voice, views and opinions in her own words, therefore taking ownership and control of her personal brand. We love the brand and logo we have created for her; we hope you do too!